Forty Eight Indian Officers including nine Coast Guard Officers joined the ‘Engineering Branch’ of the Navy on successful completion of 79 weeks Marine Engineering Specialisation Course. 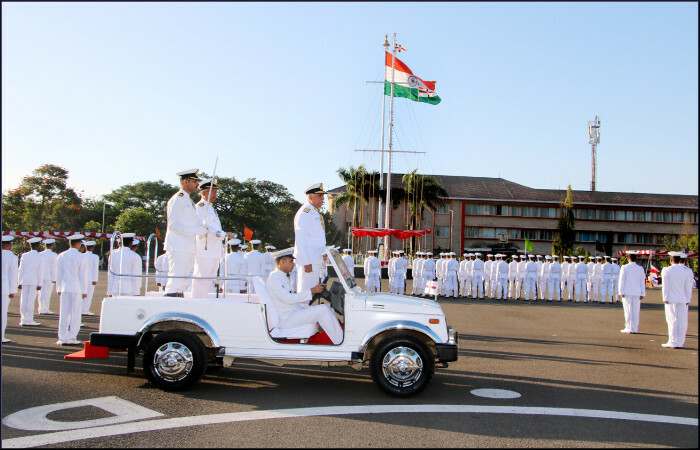 The Passing out Parade held on the occasion was reviewed by Vice Admiral GS Pabby, AVSM, VSM, Chief of Materiel. 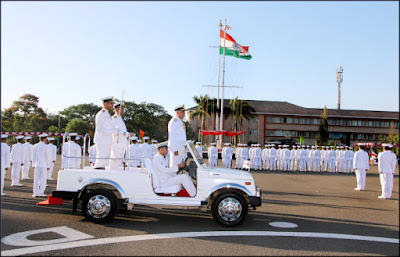 INS Shivaji, the alma mater of all marine engineer officers of the Indian Navy, is the premier training establishment nestled in Sahyadris at Lonavla. The institution has been the fountain head of engineering knowledge and imparts specialized training to officers and sailors of the branch. The first batch of the MESC commenced training at INS Shivaji on 02 Jan 1961 and since then 81 batches have passed out from this establishment. 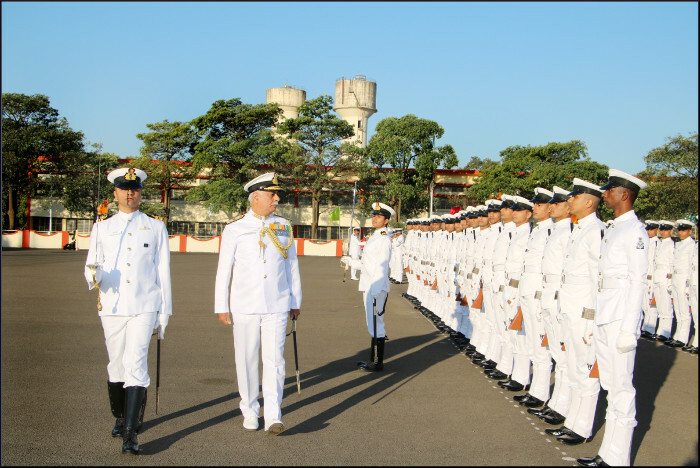 The 82nd batch of MESC consists of 48 Indian and four foreign officers. The Passing out Parade marked the culmination of 79 week training regimen, wherein rigorous academic curriculum ran simultaneously with a demanding afloat and outdoor training to ensure overall grooming of the officers. These officers are now poised to take on the challenges of their first appointment as Assistant Engineer Officers onboard frontline warships. 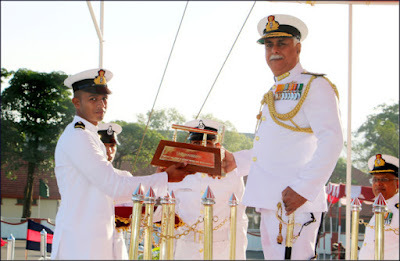 The Chief of Materiel in his valedictory address congratulated the passing out officers, their parents as well as training staff at INS Shivaji. He urged the officers to continue their tryst with learning to become thorough professionals and continually adapt to technological advancements within the service. The Chief Guest exhorted the young engineer officers to lead by example and pursue excellence in every endeavor while maintaining highest standard of quality. 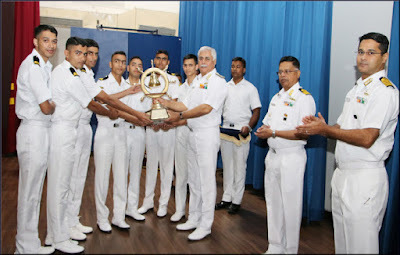 The Chief Guest awarded trophies to officers adjudged first in academics and overall order of merit. The ‘Hammer’ for best all round officer was awarded to SLt Md Danish Khan. The DGCG rolling trophy for best all round Coast Guard officer was awarded to Asst Cmdt Sakthivel K. Vice Admiral Daya Shankar rolling trophy for best sportsman was awarded to SLt K Tarachand. Asst Cmdt Sakthivel K and SLt Md Danish Khan stood first and second respectively in Academics. The best project syndicate was awarded for project on ‘Experimental Analysis of Combustion Chamber in Gas Turbine’.